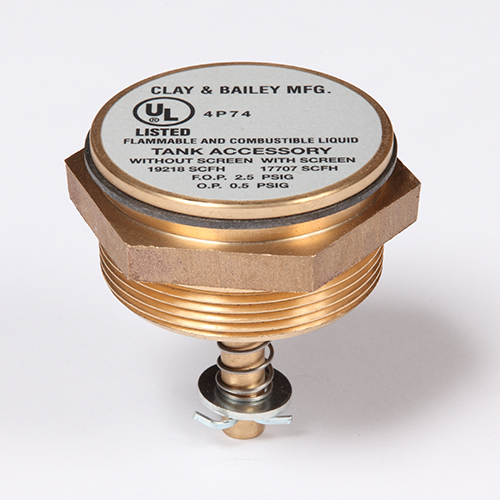 2″ UL-ULC Listed Emergency Pressure Relief Vent (354) | Clay & Bailey Manufacturing Co.
A spring loaded pressure relief vent made of brass and contains a brass screen and gasket to insure a vapor resistant seal. Air flow at 2.5 psi with screen is 17,707 SCFH, and 19,218 SCFH without screen. SKU: 0354-02-2000. 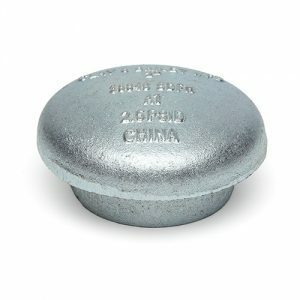 Categories: AST Equipment, Emergency Vents, Venting, Vents, Vents.